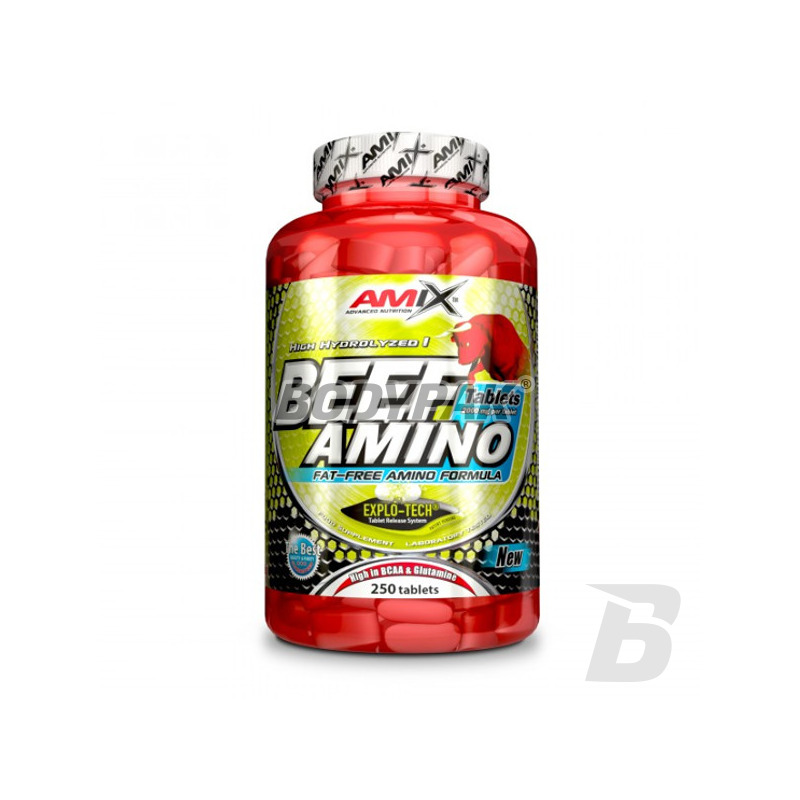 Amino AcidsAmix BEEF Amino - 250 tabl. Amino acids beef in the best installment. If you are looking for this type of product you should reach precisely this supplement. 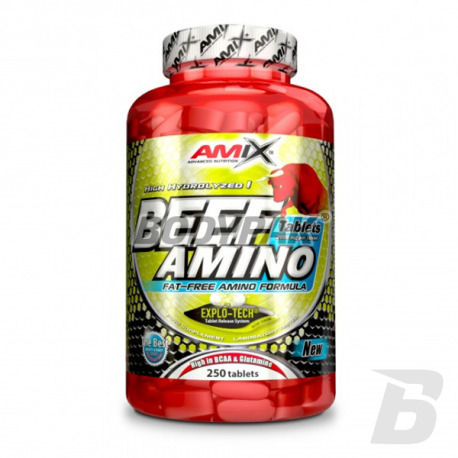 As one of the few offers on amino acids derived from high quality beef! Use 3 tablets 2-3 times a day between meals. Use 3 tablets 2-3 times a day between meals. Drink 8 to 10 glasses of water a day. Other ingredients: microcrystalline cellulose, colloidal silicon dioxide, sodium starch glycolate, sodium fumarate, magnesium stearate. Tego właśnie szukałem, aby uzupełnić profil aminokwasowy niektórych moich posiłków - dobra cena i super jakość ! Lepsza regeneracja, jakby zauważalne, lepsze "ubicie". Bardzo ciekawa propozycja produktu od producenta.